It’s been a little while since pink has been on the scene so here we go- color of the month June 2011! Perky Pink, inspired by the shade of my skin after just a wee bit of too much sun this afternoon. I love the little breakfast set of juice glasses, bowls, and plates, the vintage juice pitcher is amazing! The cookie gun is a must have for many occasions and the maple leaf tray is fantastic! 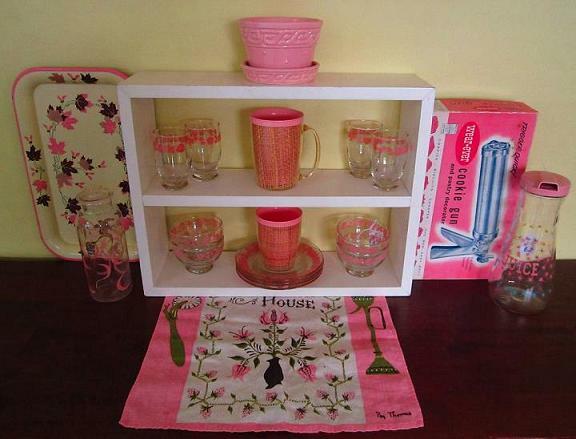 A pink McCoy sits atop and a cute bless this house vintage tea towel sits below, both from my personal collection! Plus the gold and pink apothecary jar and the raffiaware cups finish off the list. Perky pink items will be arriving in my vintage shop this week! I've been holding onto this striped pink linen tea towel yardage for awhile and it fit in so perfectly here! I plan on making some napkins from it and selling the rest. 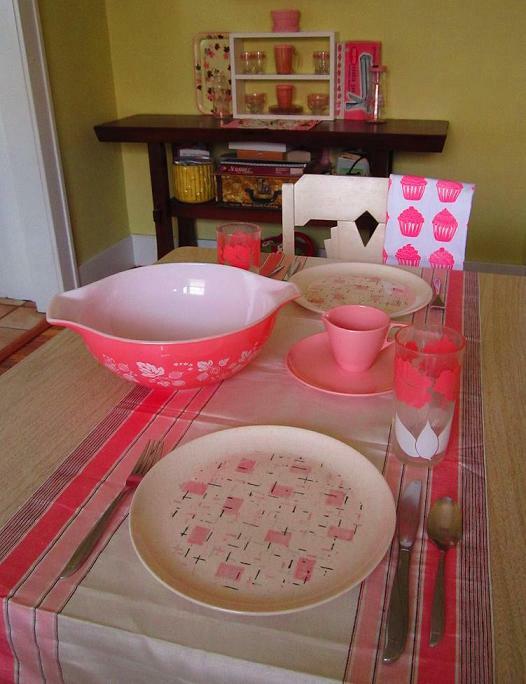 The large pink pyrex bowl is ready for a summer salad and don't you just love Vernon Ware's heavenly days pattern in pink on those plates! Plus my artgoodies all over cupcake tea towel is right at home, get one in shop today! 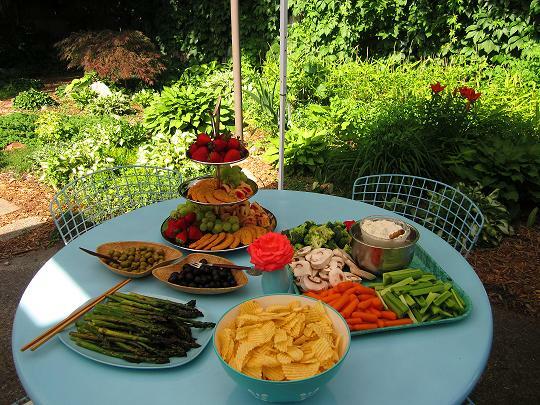 A few snacks for the opening night and a snippet of my garden in the background. What a lovely night with friends! 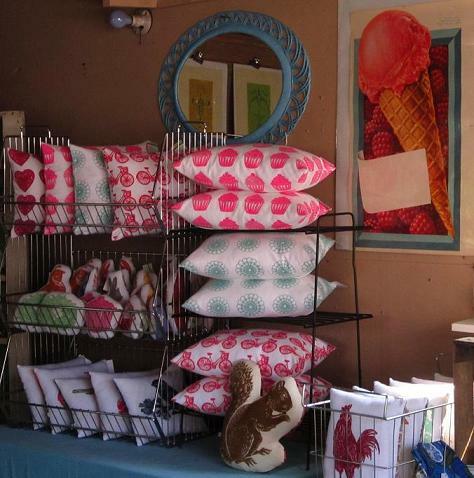 artgoodies new all over sham accent pillows, stuffie mini pillows, and rectangular squillow pillows mesh perfectly with the amazing 1940s litho ice cream print! 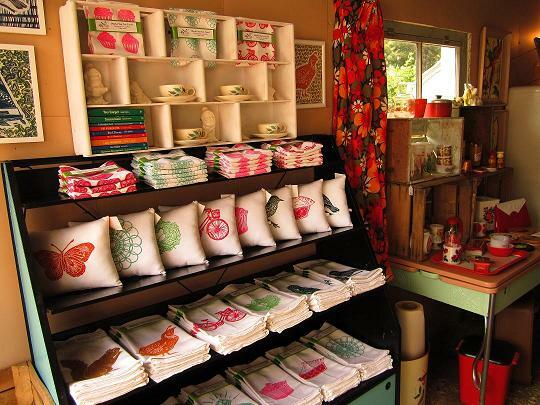 Loads of artgoodies tea towels and more accent pillows displayed so nicely on this mid century folding display shelf! A shot of the whole thing from the front, well almost, the fence was lined with vintage aprons as you came up the drive! My fave pic of garage gallery! You really get the feeling of the pop up shop here! I love how artgoodies merchandises so well with all the vintage goodies! What a blast putting it all together! It’s time again for my annual sale and garden reception! I’m turning my garage into “Garage Gallery III”. 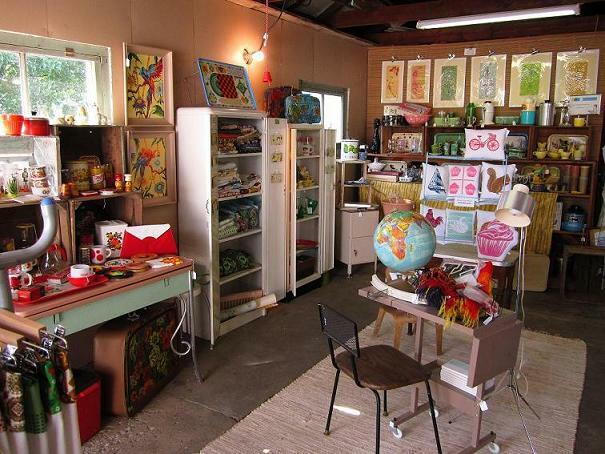 The wonderful world’s of artgoodies and Vintagegoodies collide in this weekend Pop Up Shop! 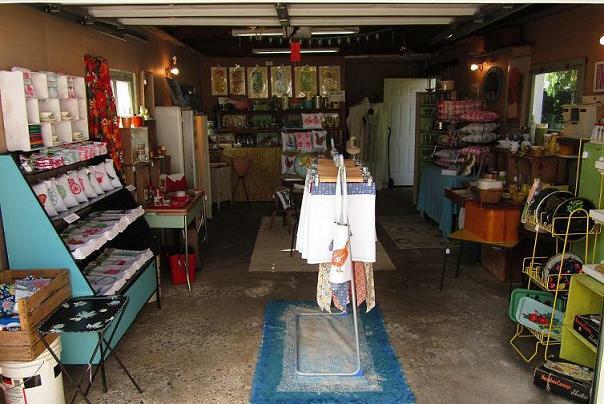 Plenty of artgoodies tea towels, pillows, aprons, stuffies, and framed art will be merchandised in with fantastic vintage housewares, linens, furniture, and a few suprises too! The $5 print drawer is back and the new $1 vintage bin will make an appearance this year! You just never know what you’ll find! 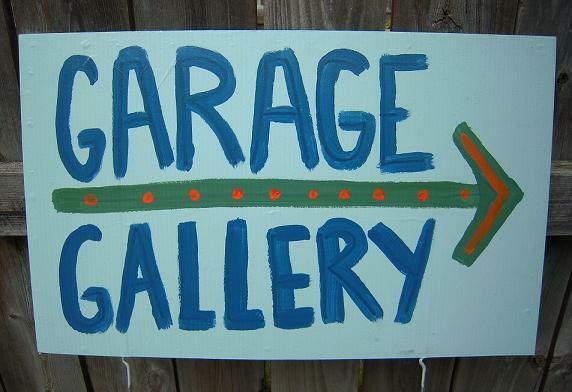 Garage Gallery will be held Thursday June 9th and Friday June 10th from 5-9 pm and Saturday June 11th from 11-5 pm. There will be a lovely garden reception Thursday evening so come on over after work, do some shopping, and relax with friends old and new! Please message me for the address-thanks! Oh and if you’re curious what this will look like check out last years July 2010 post!